Given Aston Villa’s tendency to throw away points from winning positions, the best bet on offer at Villa Park may be that Manchester United fall behind but come back to leave with a point. Last season Aston Villa were known for being incapable of holding onto leads and this problem has rubbed off onto Alex McLeish. Villa have already dropped a league-high nine points from leading positions this season and in recent years have often been pegged back by the Red Devils. In three of their last four visits to Villa Park, Manchester United have fallen behind but avoided defeat. It is 15/2 in the Premier League odds that they draw from a losing position this time and 8/1 that they come from behind to win. The chances of the game ending in a draw at 11/4 are also generally good and this has been the result in this fixture for the last three seasons. Villa have drawn seven of their 13 Premier League games so far and only lost one of their last ten at home. Meanwhile, Manchester United are unbeaten on their last 15 league visits to Villa Park and their last seven on the road this season. In terms of victories, Aston Villa are 4/1 to triumph with Manchester United’s odds for victory being 4/6. Wayne Rooney and Darren Bent are the obvious contenders in the first goalscorer market, but it may pay to look slightly further afield. Ashley Young is 8/1 to strike first against his former club, while Nemanja Vidic could prove way overpriced at 33/1 as he netted in both matches against Villa last season. 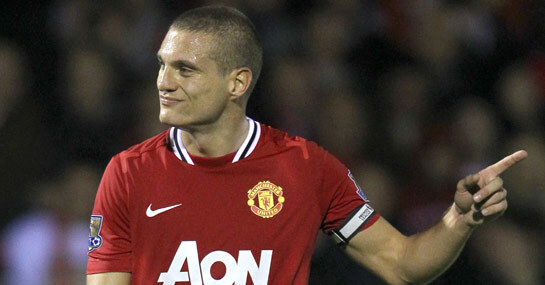 Alternatively, Vidic could also be popular at 12/1 to score at any time in the 90 minutes. For the hosts, Charles N’Zogbia is 14/1 to open the scoring and the time may be now that he scores his first goal for the club.